For more than 30 years, Michael’s photographs appeared in fashion publications including Vogue, Elle, GQ and Vanity Fair for clients that included Nautica, J. Crew and a host of fashion brands. He has been the man behind the camera, the creative director and the account executive for his own fashion-advertising agency. In 2008, Michael sensed God asking, “What are you doing with all that I’ve given to you? Using it all for yourself, or sharing it with others?” It was time to make a move. With his camera and creativity, he and his wife, Cheryl, began investing their savings into the production of a collection of fine art photographs that would depict the modern-day relevance of the centuries-old messages of Jesus. 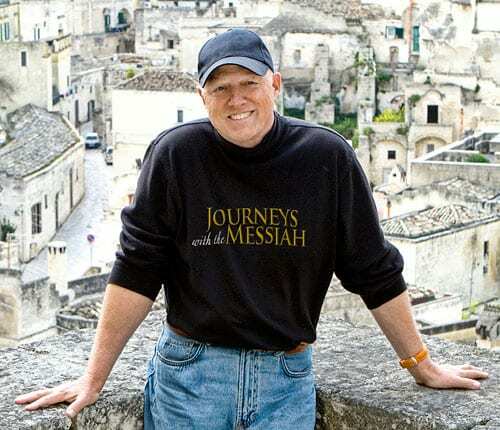 The result is the magnificently beautiful and thought provoking, Journeys with the Messiah. The images have been interpreted into limited-edition fine art, a beautiful coffee table book, DVD and more. Michael travels to churches and other venues to present the images in an exciting audio/visual presentation. An exhibit and more images are planned.